2019 Theme announced, Registration open, Winter's Eve and more!! Want to Sponsor 2019? Contact Executive Director greg@danceparade.org for our 2019 Sponsorship Guide! As we enter this season of thanks, we reflect on how dance can be a transformative vehicle--How it is a blessing that we have the ability to move, to move gracefully or to move artistically--just move. 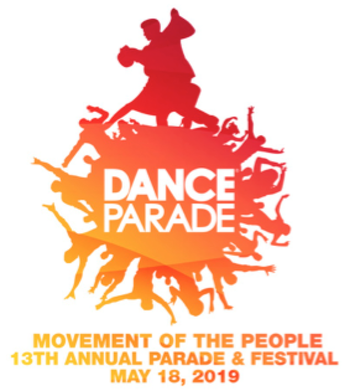 And that's only one reason why I'm so pleased to announce Dance Parade's 2019 theme "Movement of the People!" Hope to catch you after Thanksgiving for Winter's Eve. Until then, here's to wishing you a very Happy Thanksgivig! 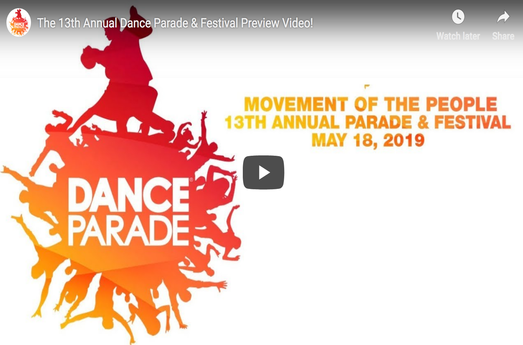 Dance Parade 2019 Registration: NOW OPEN! In these times when our immigrant communities are vulnerable and in need our support, our non-profit organization places artists in schools and community centers. Then we celebrate diversity by coming together May 18th in the city's largest dance event to showcase over 80 unique styles of dance. The ribbon is cut at 1pm on Broadway and 21st street, unleashing 10,000 dancers down through Union Square, University Place and across East 8th Street to our Grand Stand in Astor Plaza. Culminating at Avenue A, DanceFest runs from 3 to 7pm and caps the day off with 5 performance stages, dance teaser lessons and a dance party. Support this magnificent day of dance by joining the team, donating,, sponsoring a float or dancing in the parade! 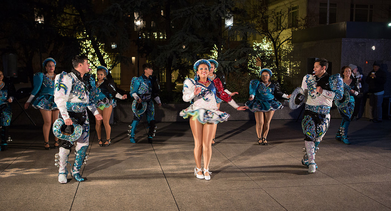 Dance Parade presents dance at WINTER'S EVE! 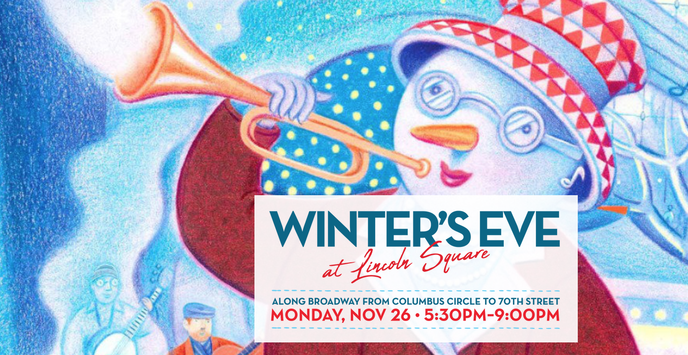 New York's largest holiday festival, Winter’s Eve at Lincoln Square, features free entertainment, family fun, outdoor food tastings and more, and begins with the Upper West Side’s tree lighting ceremony at Dante Park. The event takes place in public spaces, in select indoor venues and along the sidewalks of Lincoln Square, the gateway to the Upper West Side, from Time Warner Center at Columbus Circle to 70th Street - in and around Broadway. 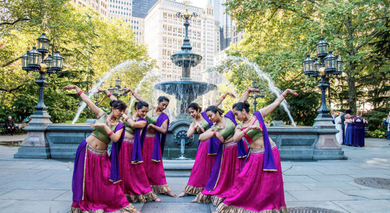 Drop by our outdoor stage on Frey Plaza at 60th & Broadway as our own emcee Donnie D'Amato presents the dancers below! Click here for a complete listing of the dozens of entertainment acts! 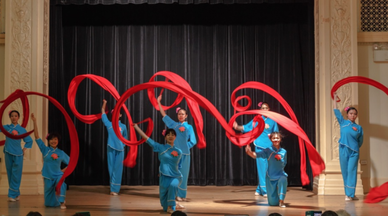 We're set to place dozens of teaching and performing artists in schools, community centers & events throughout the city. All programs will end with signature participation in the May 18th parade and festival! 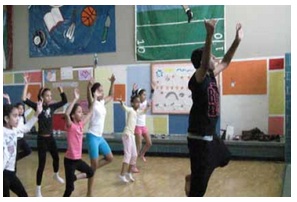 Using dance artistry to instill a lifelong enthusiasm for physical fitness. SUPPORT our Mission and get PERKS! · Read our Holiday Appeal and check out the PERKS for our Supporters! We know we have a lot of costume makers out there and we can't say enough about our 2018 sponosr bearing stylish fabrics. A wholesale distributor that offers the best ratio price to quality. Visit GoSpandex.Com for high quality stretch fabrics in a wide variety of materials and colors. Lace, Mesh, Metallics, Velvet, Novelties, Prints and more! Get your Official 2019 T-Shirt! 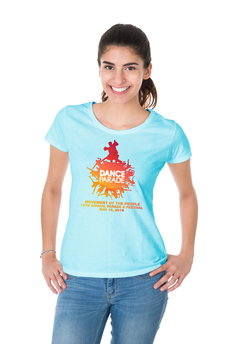 Sport an official 13th Annual "Movement of the People" Dance Parade shirt in the parade or around your neighborhood -- This one of a kind momento comes in light blue and can be shipped directly to your home one month before the parade. Order one for you or you're whole team today while supplies last! $25 + Shipping with 100% of proceeds to support Dance Parade, DanceFest and our Community Engagement programs.